Women are blessed with a kind heart and the ocean of love. They are undoubtedly the symbol of love and strength. A woman is a companion to man given by God. She inspires him to be great. Nowadays women are firmly moving on to create success for themselves and inspire others. They have achieved ever increasing levels of emancipation. Every year around the world, March 8th is cherished as International Women’s Day when women of different political, economic, social, linguistic and ethnic backgrounds come together to reflect on the struggle for equality. The day is marked with arts performances, talks, conferences and marches. The Day has been celebrated by the United Nations on March 8 since 1975. It is a day when women are recognized for their achievements irrespective of national, ethnic, linguistic, cultural, economic or political. The idea of celebration was put forward for the first time by Clara Zetkin, German activist, at an International Conference of women-socialists, held in Copenhagen. Many women joined the struggle for their equality. The first countries celebrating this day were Germany, Austria, Switzerland and Denmark. This holiday has started to be marked in Azerbaijan since 1917. The country has long been known to treat its women with the respect and dignity. Azerbaijan was the first country to have granted women the right of vote, which is the fundamental basis of a democratic society. The State Committee on Family, Women and Children’s Problems was established in Azerbaijan in 1998. Azerbaijan is also represented in the Council of Europe’s bureau on women and is a full-fledged member of the UN Commission on women’s issues. Nowadays, Azerbaijani women occupy a significant place in society. They are closely involved in the socio-political, socio-economic, scientific, cultural, and other aspects of life and enjoy the same legal rights as men. The State Statistics Committee of Azerbaijan reported that as of 2017, women accounted for 50.1 percent of the total population of the country. Women make up 48.2 percent of employment-population of the country. Frequently they choose a particular occupation. For instance, 79.8 percent of teachers and 65.7 percent of doctors are women in Azerbaijan. Women also play an imposing role in science development. For instance, 56 percent of scientific representatives in Azerbaijan are women. The overall percentage of women in public service stands at 28.5 percent. Some 21.5 percent of entrepreneurs are also women. The total number of women actively participating in the social and economic life of the country is increasing year by year. Today, more than 140,000 women in Azerbaijan are engaged in business, according to Hijran Huseynova, chairman of Azerbaijan’s State Committee for Family, Women and Children Affairs. In addition, representatives of the fair gender are highly noticeable in sport, who make up 41.7 percent of the total number of athletes. Famous women, including political, community, and business leaders, as well as leading educators, are usually invited to speak at various events on the day. A wide range of flowers are often sold in Azerbaijan at the International Women’s Day. 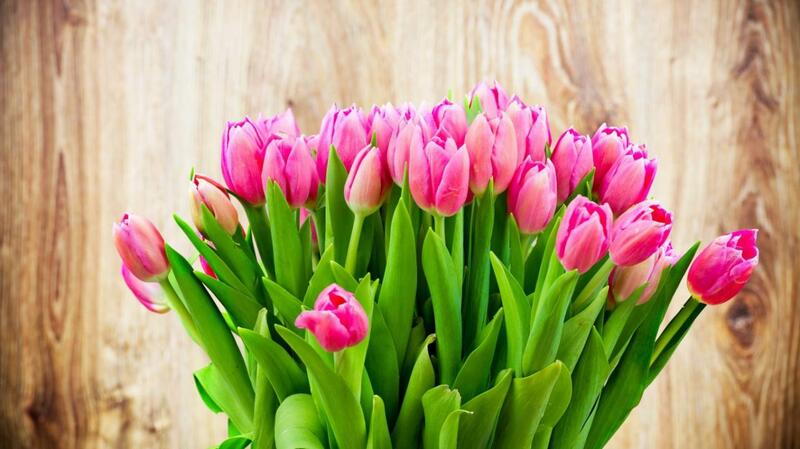 They are given as gifts to honor women and also symbolize the start of spring. This year, the theme for International Women’s Day is “Time is Now: Rural and urban activists transforming women’s lives”. It is a great an opportunity to transform this momentum into action, to empower women in all settings, rural and urban, and celebrate the activists who are working relentlessly to claim women’s rights and realize their full potential. Dear woman, you are phenomenal and worthy to be celebrated! Wishing you a beautiful day filled with the love, kindness, tenderness and compassion that you so freely pour out into those around you!